Known around the office as Dr. Steve, Steven McCoy is a proud native of Grand Rapids, who has been practicing dentistry in the community since 1981 with care and compassion. Dr. Steve and his team of highly trained professionals are dedicated to providing the finest skills in restorative, cosmetic, and family dentistry. Dr. Steve and his staff provide a warm and caring environment for his patients, and they love the opportunity to serve this wonderful community. Dr. Steve obtained his Doctorate of Dental Surgery degree from the University of Michigan in 1981; he completed his undergraduate training at Grand Rapids Junior College and the University of Michigan. After finishing his studies, Dr. Steve returned to his community in order to practice dentistry with compassion and dedication. 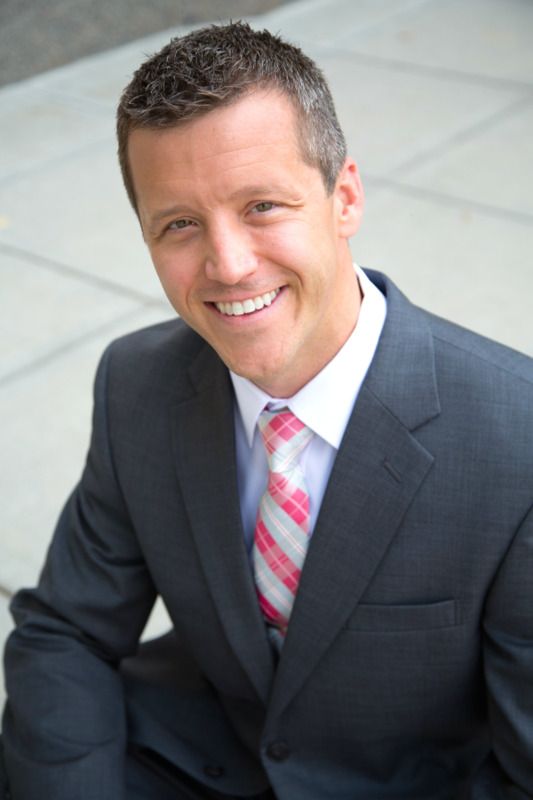 As an active member of the American Dental Association, Michigan Dental Association, and West Michigan Dental Society, Dr. Steve’s passion for dentistry and continuing education are pillars in his practice. Lifelong learning is highly valued by Dr. Steve, as is his commitment to developing safer, gentler, and more effective practices as a dentist. Family is of the utmost importance to Dr. Steve. He and Linda, his wife of 36 years, have three amazing children. Mike, Lisa, and Stacy are all graduates of the University of Michigan and Grand Rapids City High School – and a great source of pride for Dr. Steve. If you do not see Dr. Steve in the office, you will likely find him on the lake or in the woods. Dr. Steve is an avid outdoorsman who enjoys hunting, fishing, and all types of sports. Graduating in 2007, Dr. Mike's deep rooted love of his hometown inspired him to return to Grand Rapids to practice dentistry. Both his Doctorate of Dental Surgery and his undergraduate studies were completed at the University of Michigan. Before beginning his post-graduate studies, Dr. Mike earned a Bachelor's Degree in Biology, cementing his base in understanding oral and overall health. Membership in professional organizations allows Dr. Mike to continue learning, training, and growing in the field of dentistry. Dr. Mike is an active member of the American Dental Association, Michigan Dental Association, Kent County Dental Society, West Michigan Dental Society and the Academy of General Dentistry. Second to Dr. Mike’s passion for dentistry is his appreciation of sports and volunteering. Enjoying wakeboarding, waterskiing, hunting, and fishing, Dr. Mike loves the great outdoors – and cheering on the University of Michigan football team. University of Michigan School of Dentistry Graduation 1981 and 2007.